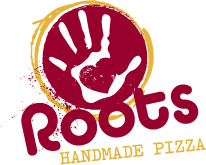 Complimentary pizza from Roots and baked goods from West Town Bakery will be served at Monday's East Village Association meeting, in the game room at Happy Village, 1059 N. Wolcott. The meeting starts at 7pm. The agenda includes development updates on the Fifield Cos. apartment site at 1850 W. Chicago Ave., the former AAA Distributing site; the Smithfield apartments at 1815 W. Division St., the former Miller Lumber location, and the Forbidden Root brewery at 1750 W. Chicago Ave.
EVA's aldermanic meet-and-greet series continues with 2nd Ward candidates Cornell Wilson and Brian Hopkins. You're also welcome to submit your questions for our candidate debates, set for Jan. 29 in the 1st Ward and Feb. 15 in the 2nd Ward, at Wells High School.